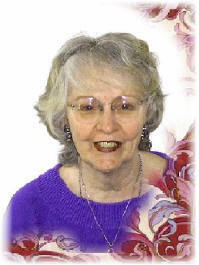 A native of Indiana, Carolyn lived in Michigan, Illinois, and South Carolina before she retired and moved to Missouri to be closer to her grandchildren. She graduated from Ball State University where she also received a master’s degree in student personnel administration in higher education. Carolyn taught special education at the junior/senior high level before moving into academia. Officially, she’s retired, but she works part-time at the local library in Poplar Bluff. Her duties include writing a column bi-weekly for the local newspaper. Writing has always been part of her life, but it was her dear friend and former colleague, David Silberstein, who convinced her that she had a flair for fiction. Carolyn travels often to visit with her five children when she isn’t writing. Her hobbies include tennis, reading--especially mysteries, and travel. News: Carolyn recently signed a contract with Publish America for publication of HOLE IN HER HEART. Look for it sometime in 2004.
format is variable--printed galley, printed book, edited file, ebook. Search The Internet With NetroSearch.com! Search the internet faster and smarter with NetroSearch.com and get better results in less time. While you're visiting us, be sure to signup for your free email account and enjoy all the benefits our community has to offer.